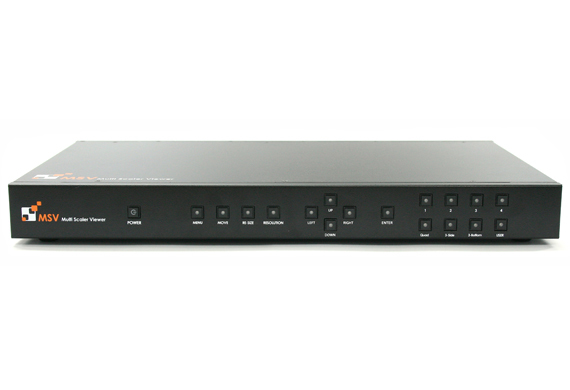 The MSV is an ideal solution for applications where up to four different or same types of video signals must be displayed on a single display. 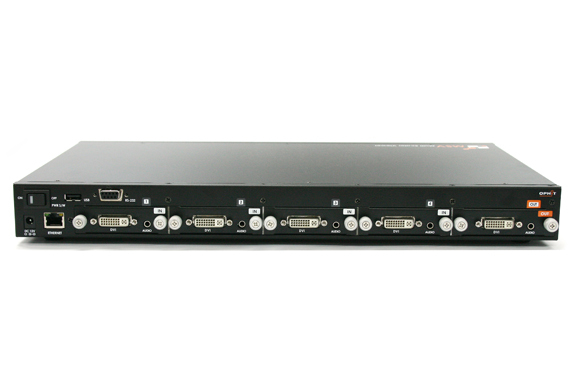 Supports up to 4 modular type video/Audio inputs and 1 modular type video/Audio output. Input/Output modular type cards are available in DVI, D-Sub, HDMI, SDI. 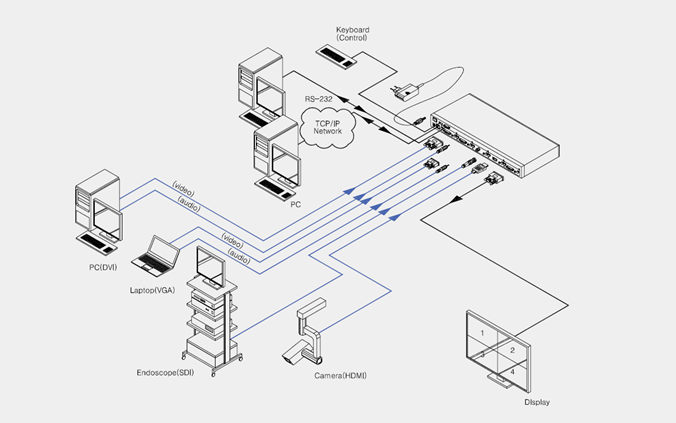 MSV is a perfect video processor solution that deals with various types of signals that can be used in control room, medical displays in hospital, broadcasting system, security room, etc.